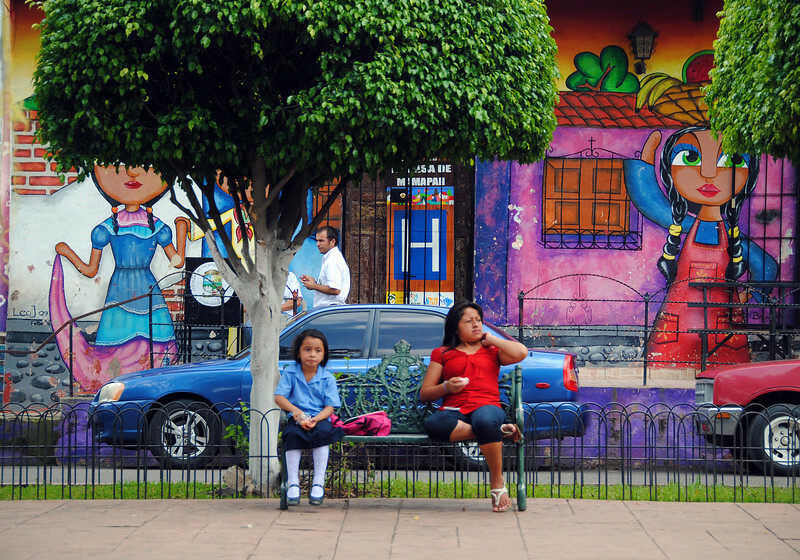 Sep 26 2013: Adios Guatemala, Hola El Salvador! We're itching to be on the move again. After a few months of staycations, vacations and road trips around Guatemala, we are finally packing up everything and resuming our nomadic journey. 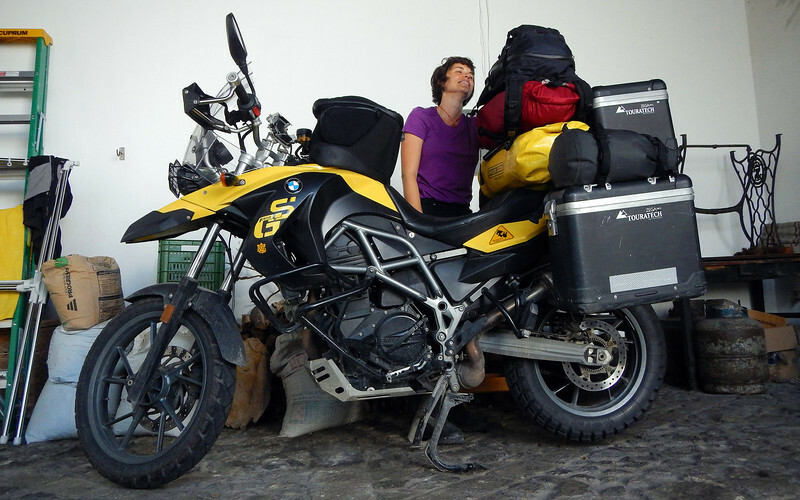 However, circumstances dictated that we stay just a few days longer in Antigua while waiting for Neda's new rear tire to get shipped from the US. So we went out and wandered the streets for awhile. It's quite an experience being here in the off-season. 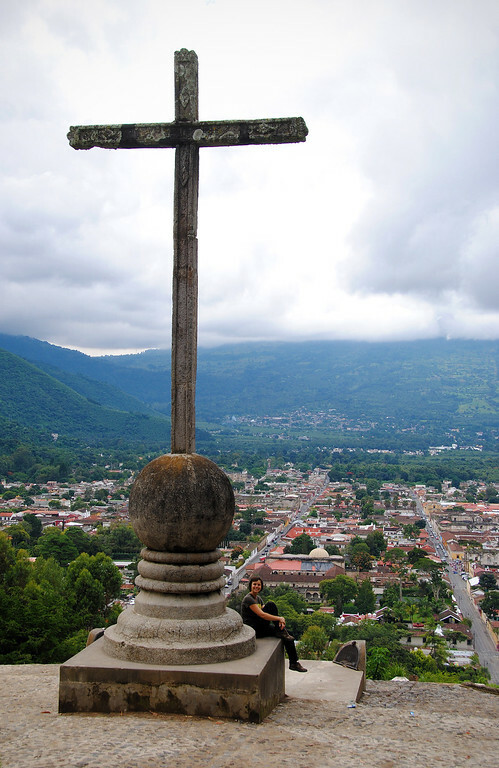 Normally the view from Cerro de la Cruz in the summer is clear and you can see the cross against the backdrop of volcanoes unhampered by fogs or clouds, but I kind of like being in the town when there are less tourists. We've been here long enough that we're kind of semi-locals, and we've made enough friends here to consider making Antigua a home if we ever chose to settle down. 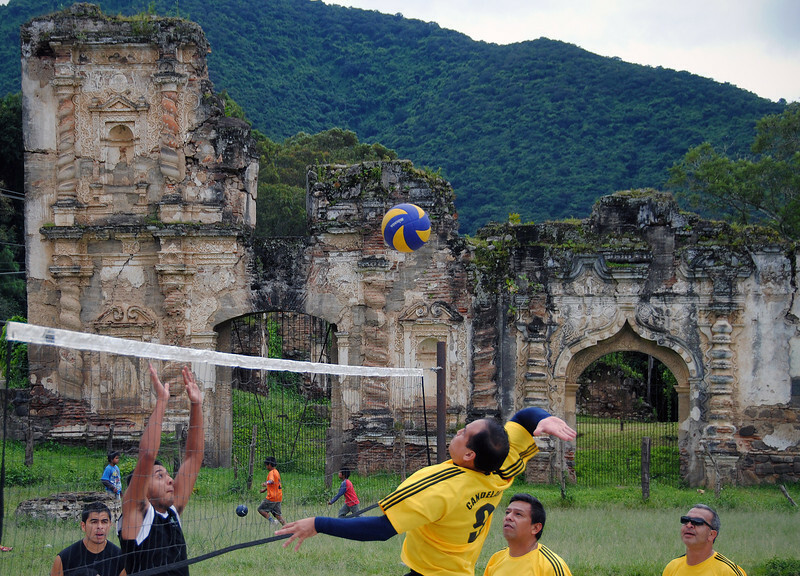 Such a cool place to play a volleyball game! Finally, we are off! New rear tires, new batteries, new supplies, new clothes. We felt reinvigorated! And much heavier! 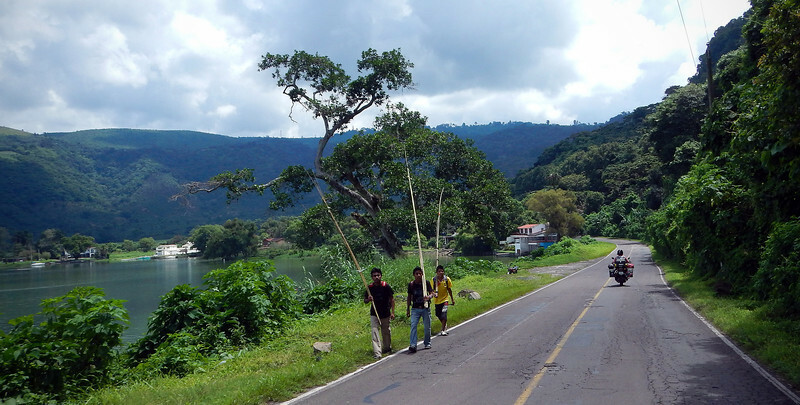 :( As we rode south from the mountains of Guatemala, the temperature soared and it got much more humid. We had not seen 30C on the thermometer for quite some time. 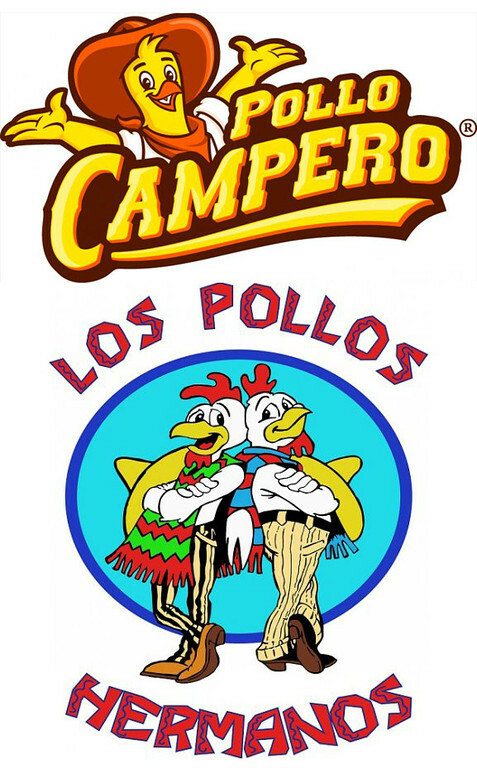 I've seen this fast food chicken chain, Pollo Campero, all over Guatemala and every time I see the logo, I think of Breaking Bad, which is our favorite TV show. So in dedication to the series finale this Sunday, we stop and eat at one in Santa Rosa, just before we cross the border. The chicken is actually very delicious! 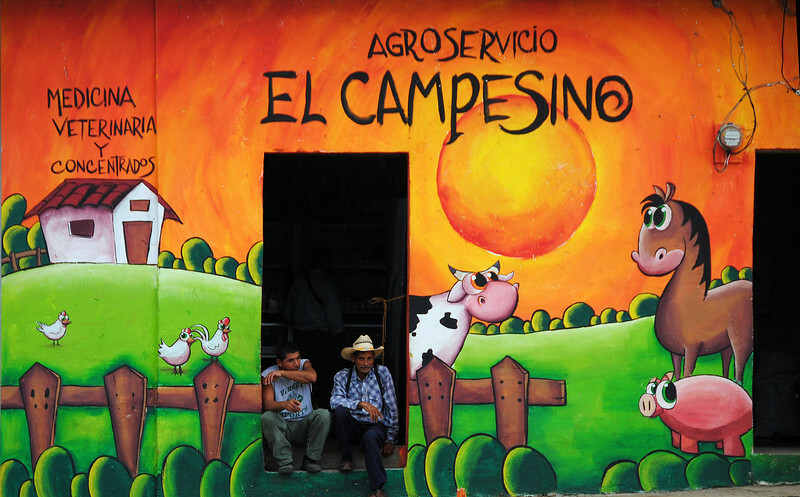 Pollo Campero... Los Pollos Hermanos... Similarity? After lunch, the skies darkened considerably to signal the inevitable early afternoon rains. I tapped on my communicator to let Neda know we should put on our rainsuits. She told me, "I'm too hot. You go ahead. I'll put mine on right before it rains...". 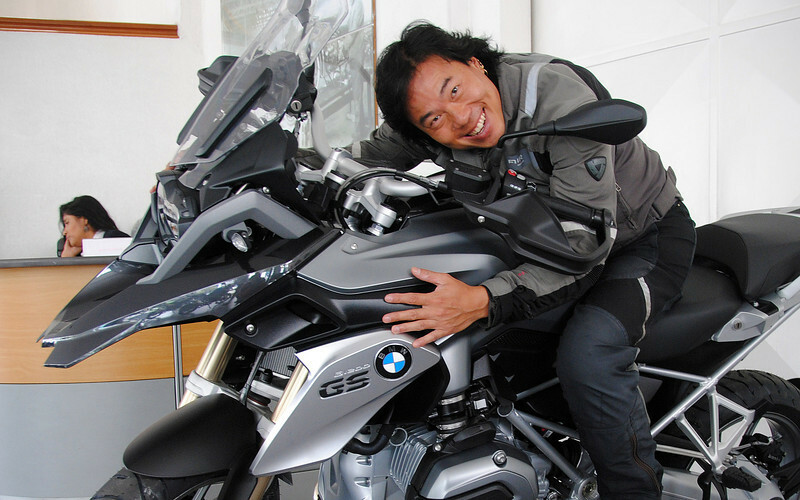 I crawled into my rainsuit in silence, while she sat on her bike waiting for me. Not five minutes later, the skies opened up a ferocious thunderstorm on top of our heads, complete with a frighteningly close lightning show. 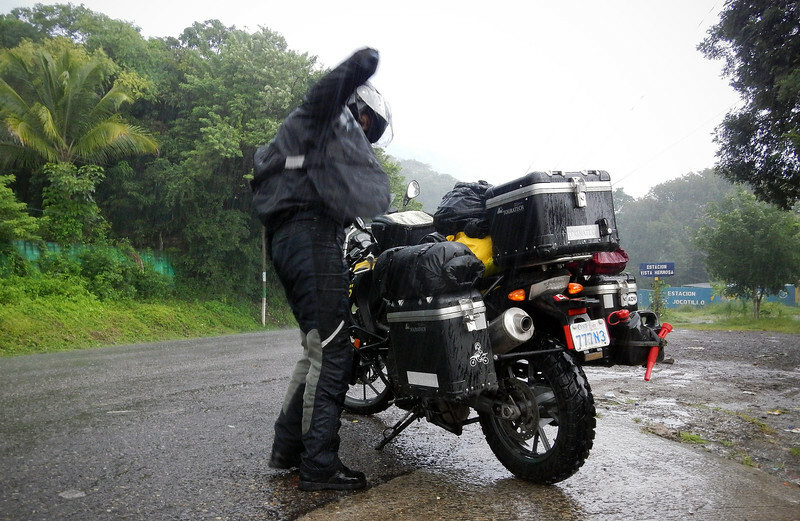 There was no room to stop on the narrow, curving road and I could see Neda's riding suit getting completely soaked. By the time she could find a straightaway to pull off to put her rainsuit on, she was drenched all the way to the bone. Even with the communicator off, I could see lots of head-shaking and hear cussing. There are some perfect "I-Told-You-So" moments that happen once in a while. But you know that saying those words out loud just reduces you to a petty and small person, even though every fibre and muscle in your body just wants to yell it out. At the border, the guard inspects my passport... "Senor Lambert? De New Hampshire...?" 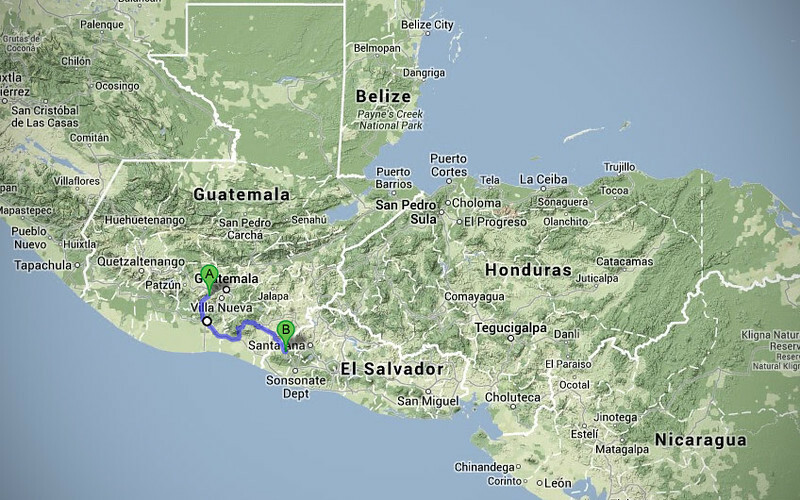 The Guatemala/El Salvador border crossing is dead easy. Just hand over a few photocopies of your documents and you're through. 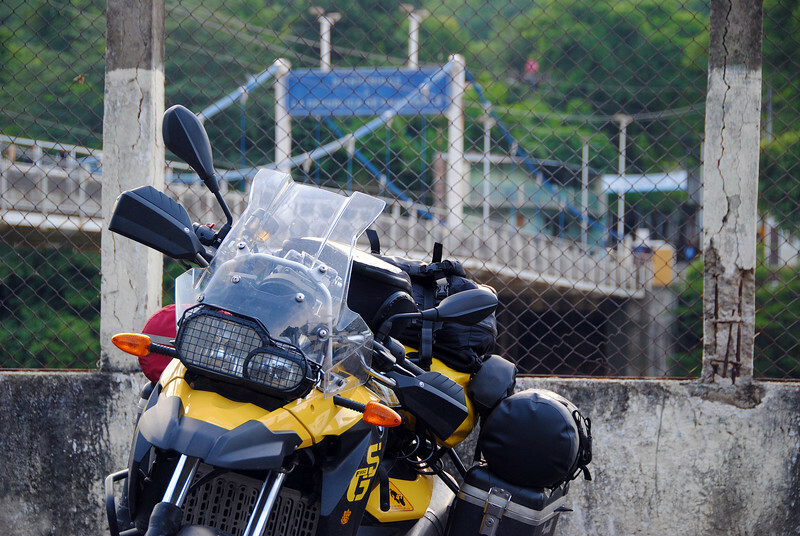 We've crossed several Central America borders now and we know the process intimately: stamp yourself and your bikes out of one country, stamp yourself and your bikes into the next country. 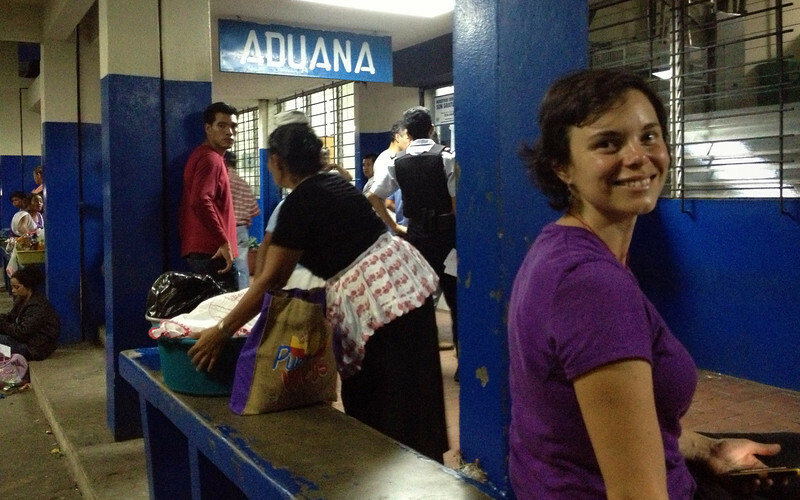 Unfortunately, the Salvadorean Aduana (customs) computer was down and we had to wait to import our bikes in. 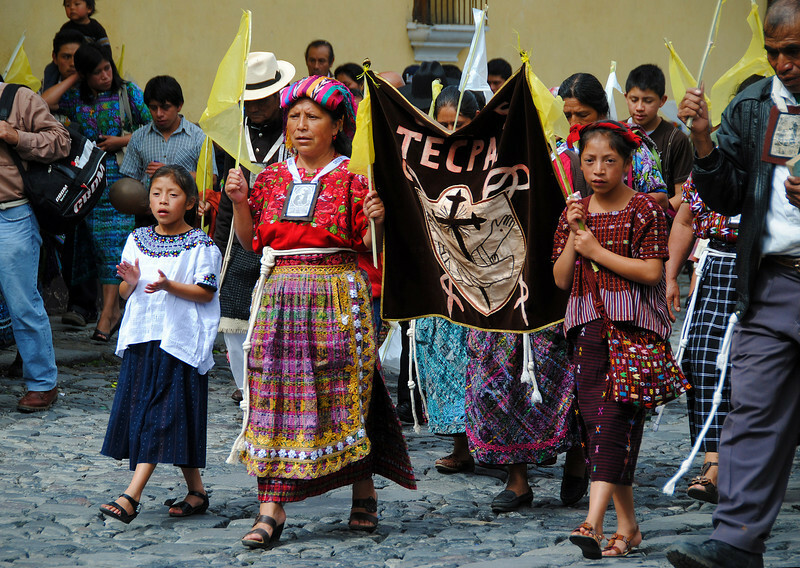 This *exact* same thing happened the last time we entered El Salvador 6 months ago! At a different crossing as well! Something tells me this happens all the time... So, we waited four hours for the computer to come back up. Being bored, I took more pictures. Finally, the computers come back up and it's a very short wait to get the bikes imported into the country. 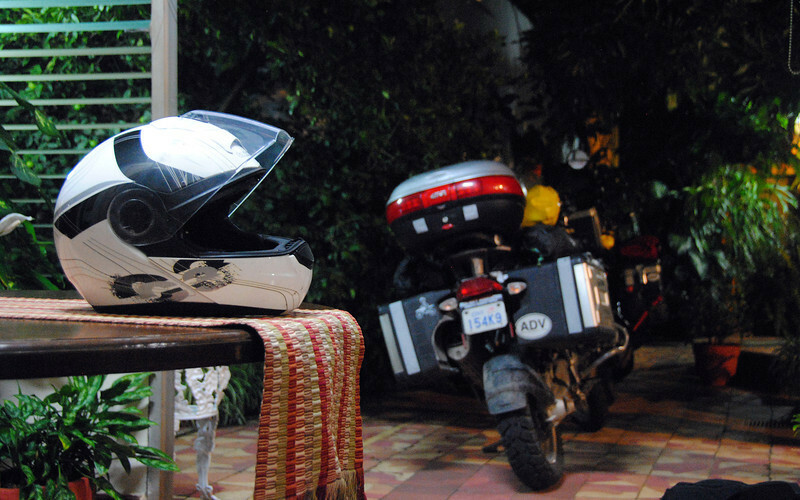 I am a bit wary about riding in the dark, mainly because of road conditions and animals, but partly because of security. 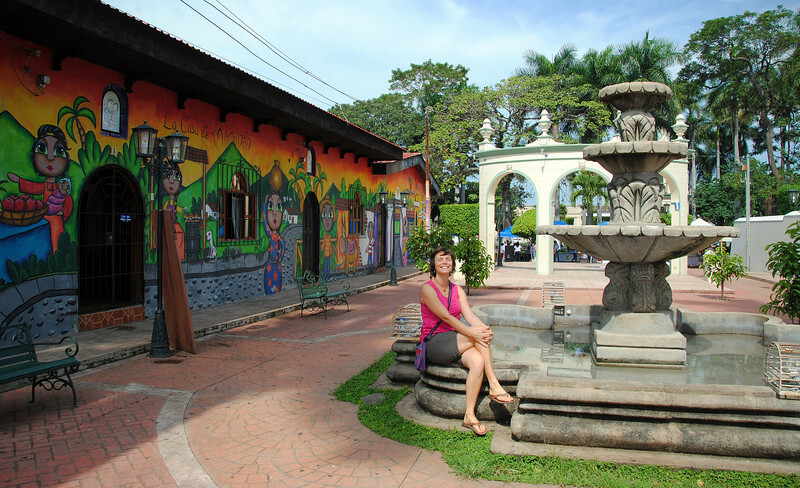 Our last run through El Salvador had us stopping just outside San Salvador and checking into a skanky "Love Motel". 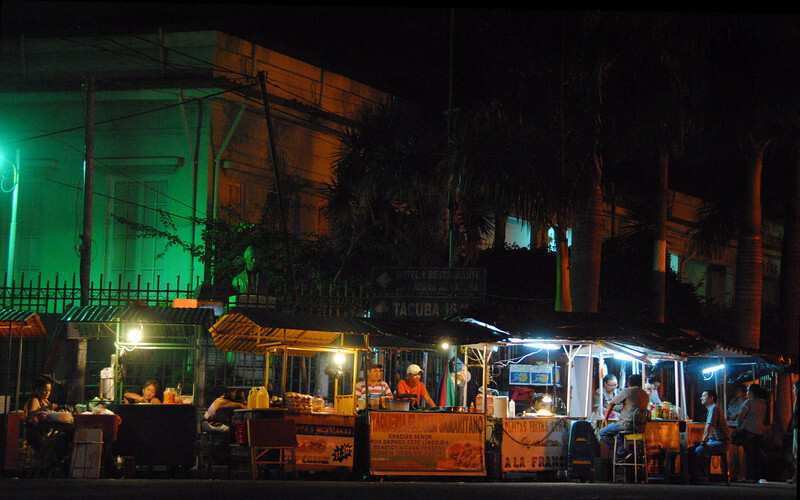 The owner back then told us not to leave the premises after sunset because it was too dangerous. However, riding through this part of the country, past nice neighbourhoods and lots of people walking on the streets, I got a much better feeling this time through. 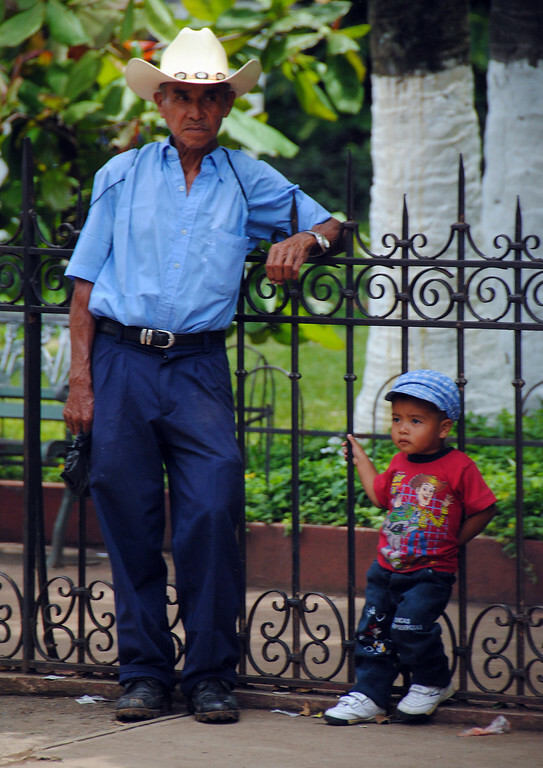 You always feel safer when there are parents and children walking around past sunset. 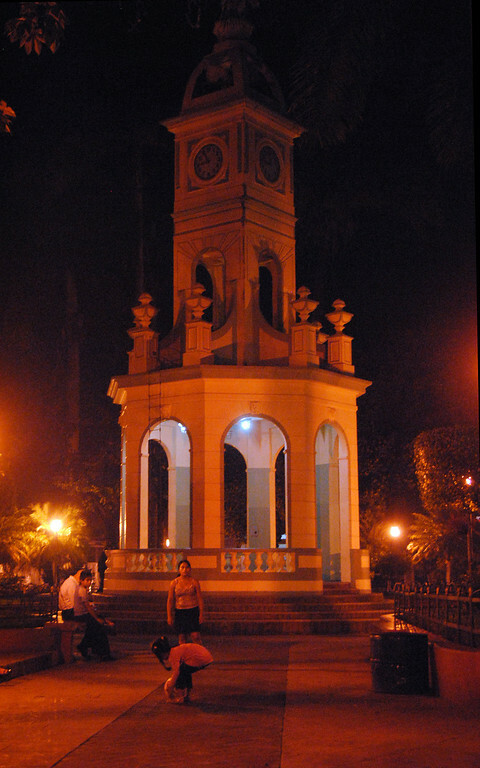 Just 15 kms away from the border, we rolled into the very pretty town of Ahuachapan. 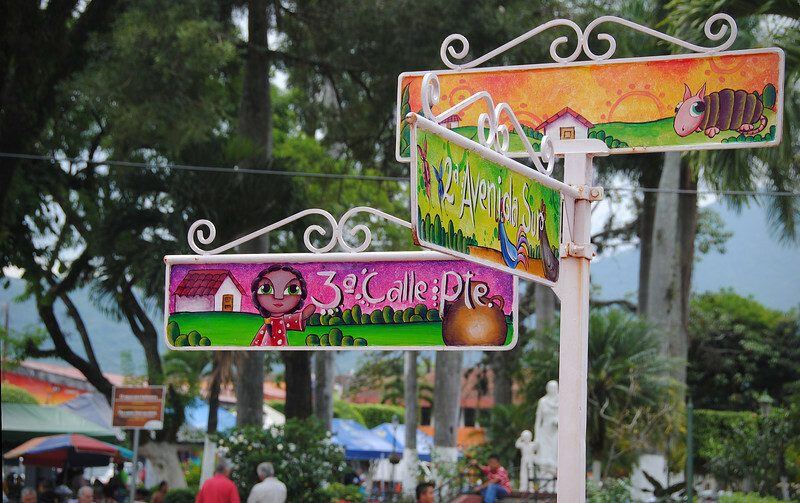 We knocked on the doors of a couple of casas and found one not too far from the main plaza. Not one whole day in town and we found ourselves a favorite restaurant. Had two meals here already! Lots of kids and parents/grandparents everywhere in town. Neda brought up the point that the people here are very friendly. 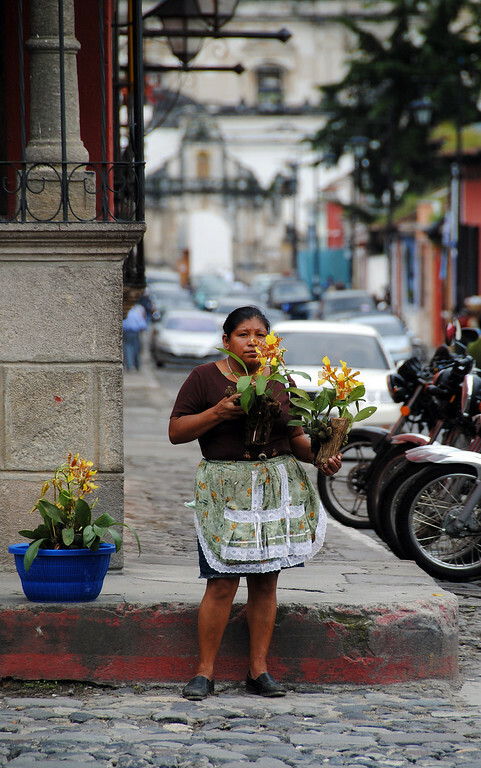 There's always a "Buenos Dias" being exchanged whenever anyone passes each other on the streets. 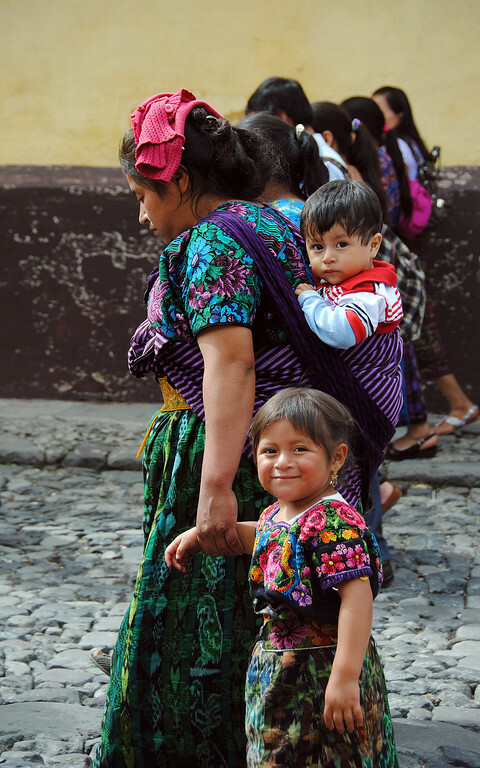 Although the Guatemalans are nice people, they are not overly friendly, and the last time we saw such an open display of welcome towards strangers was in Mexico. It felt really nice. 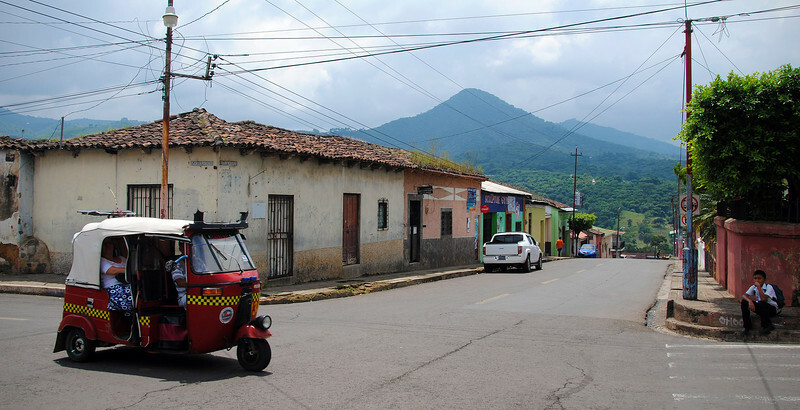 What a difference from the last time we breezed through this country on the PanAmerican Highway. I am so glad we are taking the time now to experience it properly. Even the street signs are fun!